Home Digital Marketing How will Digital Marketing have an effect on a website in 2017? 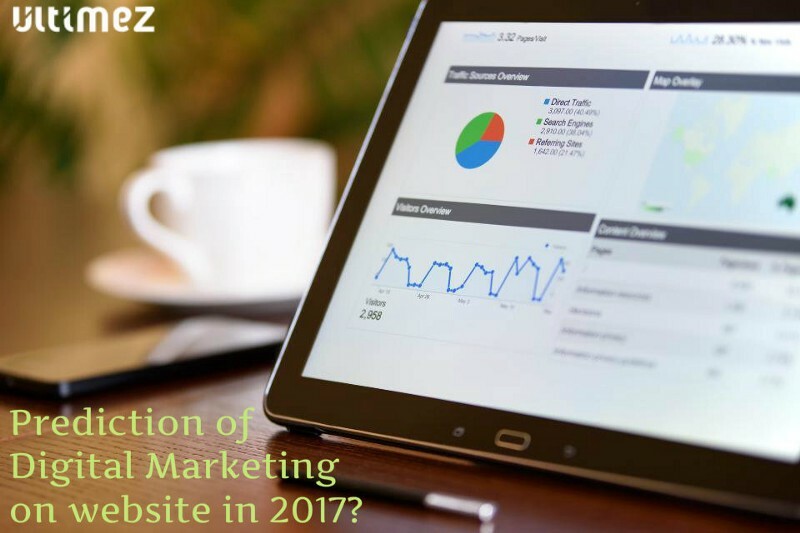 How will Digital Marketing have an effect on a website in 2017? It’s a right time to start making marketing plans for 2017. But before your marketing campaign starts determine the trends in marketing will be for the upcoming year. This is because staying ahead of everyone can make you a trendsetter wherein business owners and marketers need to plan and be a step ahead by their competitors. So make sure that you’re keeping up with the 2017 business trends and to make it easier for you I have a list of the reliable digital marketing trends for 2017. Mobile Devices and User Experience: To have a positive user experience from your visitors on your site then it’s an essential that your website must be of mobile responsive. As the Google searches are performed on mobile devices and this trend will continue in the New Year because Google will always be in the favor for that website which works fast and easy to navigate. Unique High-Quality Content: The concept of a new trend for the upcoming year will be “intense content” in which the search engine will be looking for how valuable the each word within the content. It doesn’t matter if the content is shorter because the value of the content is considered not the length of the overall content. Search algorithm will change: Each and every second the internet is being added with the enormous amount of information which is why the search engine algorithms will change. The search engine will always be updated to decide which content should get the priority and higher rankings. Therefore, digital marketers should also remain original, helpful and informative and focused on Google’s Algorithm. Live Video Streaming and Video Content: No doubt that the use videos has been growing marketing trend. Allowing more effective videos which are quick and easily made in a cost effective manner. This is how live video streaming was so popular and will continue to grow in the New Year. Video content will be better and relative because most of the businesses are using live video streaming of revealing company events, make announcements, promotion purpose (products and services), product demos, live interviews etc. As we are awaiting 2017, keep up to date with the latest digital marketing trends and stay ahead of your competitors. Get in touch with us and share your thoughts.